Note to readers: The old folks at home love NCIS, which returns Tuesday with new post-strike episodes on CBS. Its audience mostly "skews older," which isn't yet a capital crime. And its 56-year-old star, former UCLA quarterback Mark Harmon, has gone gracefully gray rather than succumb to a laughable Bob Costas-esque dye job. This up-close look at one of network TV's most enduring leading men was first published on Aug. 10, 2003, the summer before the then titled Navy NCIS, joined CBS' fall lineup. HOLLYWOOD -- Seemingly everyone speaks well of Mark Harmon. CBS chairman Leslie Moonves speaks effusively. "He is truly the all-American boy, not only on-camera but off-camera," Moonves says. "He's really one of the last true gentlemen, a guy that America would like to have as their brother or their father. He's the real deal. He's the guy to be in the foxhole with." Sturdy, trustworthy, enduring and once named People magazine's "Sexiest Man Alive," the resilient Harmon is returning to series TV this fall as the star of CBS' Navy NCIS. Moonves has known Harmon since their days as struggling actors in the late 1970s. He's not known for dispensing sugar-coated compliments to just anyone who happens to be working for CBS. His affection for Harmon -- "as good a guy as you'll ever meet" -- is unmistakably deep-seated and genuine. More proof of that is a long-ago personal experience with the former star UCLA quarterback. Harmon visited The Dallas Morning News in 1985 in connection with his high-visibility commercials for Coors beer. He also was co-starring in NBC's St. Elsewhere as ill-fated Dr. Robert Caldwell. After an interview, Harmon went downstairs to the paper's photo studio. A dozen or so women staffers likewise made the trip in hopes of getting a picture taken with him. One by one he complied, smiling agreeably all the while. If you think that's commonplace, it's not. Another NBC star of that period, Bruce Weitz of Hill Street Blues, couldn't have been much surlier under the same circumstances. "Being nice is important, Harmon, 51, says in a recent interview. "Perspective is important. You work a long time to get to a position where people are chasing you around rooms. So complaining about it doesn't make sense." The redundantly titled Navy NCIS (Navy Naval Criminal Investigative Service) is a JAG spinoff that will inherit its 7 p.m. Tuesday slot while the incumbent series moves to Fridays. 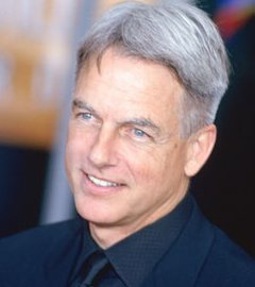 Harmon plays gruff special agent Leroy Jethro Gibbs, introduced late last season in a two-part JAG story. It's his eighth go-around as a TV series regular. He also had a memorable recurring role, as Secret Service Agent Simon Donovan, in the final four episodes of The West Wing's 2001-02 season. "I try to have a 'no jerks' clause in my contract," Harmon says. "I've gotten to the point where I'm interested in working with good people, talented people, nice people. Early on as an actor you're just trying to work. You don't have much of a choice in what you play. You're just trying to get jobs." 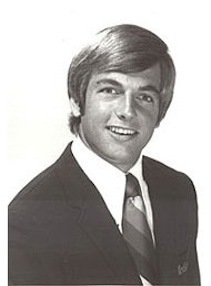 Harmon's first big job was quarterbacking the UCLA Bruins in the 1972 and 1973 seasons. It's in the genes. His father, Tom Harmon, won the Heisman trophy as a University of Michigan running back. "People sometimes make the assumption that was a big man on campus and spent a lot of time going to sorority parties," he says. "The truth is, I don't remember having a date after a game even once in two years." He tried to get into an acting class during his senior year, but fell short with a reading from Edgar Allan Poe's The Tell-Tale Heart. Rebuffed, he took private acting lessons that put him on the pathway to his future profession. But he spent his early years out of college as an advertising executive and a national salesman for a tennis shoe company. Good pay, bad fits. So he quit cold turkey and phoned famed producer/actor Jack Webb (Dragnet), whom he had met while speaking on the "rubber chicken circuit" as a famed UCLA alumnus. Webb told him to shave his mustache, cut his longish hair and "look like a cop." The payoff was a bit part on a 1975 episode of Webb's long-running Adam 12 series. Ozzie Nelson was another early mentor. Harmon's sister, Kris, was married to Nelson's heartthrob son, Rick. Toward the end of his senior year at UCLA, Ozzie asked Mark if he'd replace an ill actor in the syndicated comedy series Ozzie's Girls. He played a character named Harry "King" Kong, who showed up at the end of an episode in a gorilla outfit. "While the credits rolled, I said, 'My name's Harry 'King' Kong. Which way's the Empire State Building?" Harmon remembers. Then he removed his gorilla head and smiled. "It was my first acting role," he says. "For a lot of years if you needed somebody to take their shirt off and kiss the pretty girl, that was me. Or if you needed someone to say, 'Ma'am, can I see your license?' that was me." In 1977 he landed another seemingly inconsequential part as a Jeep driver in the ABC movie Eleanor and Franklin: The White House Years. But the producers instead auditioned him for the part of hospitalized U.S. Marine Robert Dunlap, who had lost a leg in combat. His bedridden scene with Jane Alexander won him a best supporting actor Emmy nomination and his own TV series, Sam, a year later. Ironically, his future wife, Pam Dawber, whom he married in 1987, went on to star in My Sister Sam. Both series were shortlived. "This business really isn't about the times when you're working," Harmon says. "It's more about the times when you're not." One of his way-stops was the laughable 1983 TV movie Intimate Agony, which dealt with a herpes outbreak in a resort community. "Oh my God. That was one of those things where you're trying to pay the gas bill," Harmon says. "I otherwise was working as a roofer at the time." He fared far better, and turned heads, as serial killer Ted Bundy in the 1986 miniseries The Deliberate Stranger. It premiered on NBC in the same year that People named him "Sexiest Man Alive." 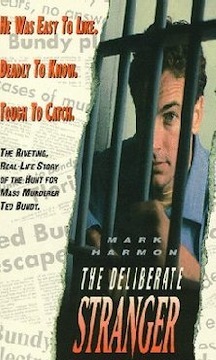 "His most astonishing portrayal," NBC said in print ads that showed a closeup of Harmon with a fingerprint superimposed on his face. "I wouldn't have gotten a shot to play that role if Bundy hadn't been described in real life as the guy next door," Harmon recalls. "Otherwise it would have gone to someone who plays crazy guys. People kind of went back on their heels about it. After I did that, I was offered a lot of opportunities to play crazy guys." His killer looks keep him in leading man roles, though. But there are still dark sides to explore. On Chicago Hope, Harmon's Dr. Jack McNeil couldn't kick his gambling addiction. 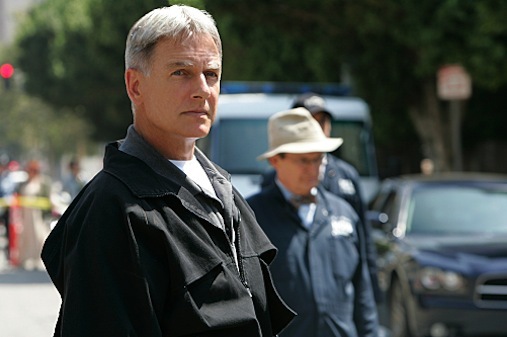 And on Navy NCIS, Leroy Jethro Gibbs is a rule-bending taskmaster. "It's all about having a well-rounded career, and it's still too early in the game to know if I've accomplished that," Harmon says. "Life doesn't read like a bio. It has steppingstones. This business is about peaks, valleys and longevity. "You've got to keep the wheel moving. It's pretty hard to get it moving again if it ever stops."